Why do you need to keep my dog for the day? Does my cat need to be "knocked out" for a bath? Can I just have you bathe my dog? I have a 3-month old puppy that my breeder suggested I bring in for a bath and trim so they get used to the process. Is that a good idea? What if my dog's coat is badly matted and I can't get a comb or brush through it? Appointments are needed to ensure your pet gets the attention they deserve without undue stress. In keeping your dog or cat for the full day, it reduces stress by allowing them time to rest and exercise throughout the day eliminating any need to rush through a process. Keeping both pets and groomers calm goes a long way in making your pet want to come back next time. Sedation is not necessary and can affect cats very peculiarly, even to the point of inducing hallucination. Furthermore, cats waking from sedation can be unpredictable. A steady, gentle touch from an experienced cat bather will seem like a day at the spa to your cat. Of course! Many of our clients schedule baths for their dogs between grooming appointments. Done on a regular basis, a thorough brushing and bath will help keep your dog's skin and coat in top condition. The sooner your puppy gets used to the experience, the more pleasant it is for everyone. While there won't be much to trim, it familiarizes them with the process and the shop. Training your puppy for baths and grooming is equally as important as teaching them to sit. What if my dog's coat is badly matted and I can't get a comb or brush through it?? There are no special tricks. To de-mat a dog takes time, a lot of patience and a lot of time. It is not a pleasant procedure for the animal or the groomer, but rushing it will only worsen the situation.. 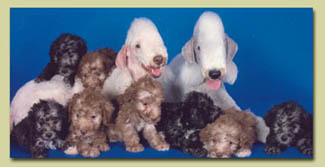 Bringing a badly matted dog to your groomer lengthens their day by 2-3 hours. A groomer with a full day of appointments will now be working overtime as they face a 9 or 10 hour day, sometimes more. That is 2-3 hours that you will pay for at 1.5 times our normal rates. Dog's Best Friend & The Cat's Meow. All Rights Reserved.